Thank you for visiting. This website is for informational purposes only. None of the information provided is intended to constitute, nor does it constitute, legal advice, and none of the information necessarily reflects the opinions of Maune Raichle Hartley French & Mudd, LLC or anyone associated, employed or affiliated with Maune Raichle Hartley French & Mudd, LLC. None of the information in this website is intended to create an attorney-client relationship between Maune Raichle Hartley French & Mudd, LLC and visitors to this website. Neither the transmission nor receipt of this website material or the submission of any forms will create an attorney-client relationship between sender and receiver. The material contained in this website is general in nature and may not apply to particular factual or legal circumstances. This is no guarantee and no warranty that any of the information in this website has been updated to reflect subsequent legal, medical or other developments. Internet subscribers and online readers should not act on this information without seeking professional counsel or professional medical guidance. PLEASE CONSULT YOUR PHYSICIAN OR MEDICAL PROVIDER PRIOR TO FOLLOWING OR USING ANY INFORMATION ON THIS SITE. This page(s) is intended to outline the conditions under which this website is made available to you. Please read it carefully. By using this website, you are deemed to have accepted the information provided on this page(s). If you do not accept the Legal Notice, Privacy Statement and Disclaimers, you are directed to discontinue accessing or otherwise using this website or any materials obtained from it. Please be advised that the choice of a lawyer is an important decision and should not be based solely on advertisements. 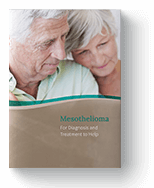 That is why we always meet with the clients we represent and we encourage any victim of mesothelioma to meet with the counsel of their choosing. In addition, prior results cannot and do not guarantee or predict a similar outcome with respect to any future matter, including yours, in which a lawyer or law firm may be retained. Please consider this website an advertisement for legal services. The information provided on is not intended to be legal advice, but merely conveys general information related to legal issues. This information is not intended to create a legal relationship between Maune Raichle Hartley French & Mudd, LLC or any attorney and the user. Neither the transmission nor receipt of these website, nor the submission of any form or phone call, will create an attorney-client relationship between sender and receiver. This website is not intended to create and does not create an attorney-client relationship between the user and Maune Raichle Hartley French & Mudd, LLC. An attorney-client relationship with us cannot be formed by reading the information on this website or by submitting an inquiry or by simply calling the office. The only way to become a client is through a mutual agreement signed by the client(s). The determination of whether you need legal services and your choice of a lawyer are very important matters that should not be based solely on websites or advertisements. A meeting with the counsel and prospective client(s) is recommended. THIS SITE IS PROVIDED ON AN AS IS, OR AS AVAILABLE BASIS AND MAUNE RAICHLE HARTLEY FRENCH & MUDD, LLC EXPRESSLY DISCLAIMS ALL WARRANTIES, INCLUDING THE WARRANTIES OF MERCHANTABILITY AND FITNESS FOR A PARTICULAR PURPOSE, AND NONINFRINGEMENT. MAUNE RAICHLE HARTLEY FRENCH & MUDD, LLC DISCLAIMS ALL RESPONSIBILITY FOR ANY LOSS, INJURY, CLAIM, LIABILITY, OR DAMAGE OF ANY KIND RESULTING FROM, ARISING OUT OF OR ANY WAY RELATED TO (A) ANY ERRORS IN OR OMISSIONS FROM THIS SITE AND ITS CONTENT, INCLUDING BUT NOT LIMITED TO TECHNICAL INACCURACIES AND TYPOGRAPHICAL ERRORS, (B) ANY THIRD PARTY WEBSITES OR CONTENT THEREIN DIRECTLY OR INDIRECTLY ACCESSED THROUGH LINKS IN THIS SITE, INCLUDING BUT NOT LIMITED TO ANY ERRORS OR OMISSIONS, (C) THE UNAVAILABILITY OF THIS SITE OR ANY PORTION THEREOF, (D) YOUR USE OF THIS SITE, OR (E) YOUR USE OF ANY EQUIPMENT OR SOFTWARE IN CONNECTION WITH THIS SITE. Any information that you send us in an e-mail message or inquiry submitted through the internet might not be secure, confidential or privileged. Maune Raichle Hartley French & Mudd, LLC makes efforts to protect personal information submitted by users of the website. However, you should take the fact that the internet is not guaranteed to be secure and confidential when submitting personal or confidential data about yourself on any website, including this one. Additionally, while this website does not gather your name, e-mail address or similar information about you without your knowledge or consent, the website does permit you to voluntarily submit data about yourself so that we can provide you with requested services or information. The information gathered will not be sold to third parties for marketing purposes. There is NO guarantee that we will respond to all inquiries or requests for information. We specifically PROHIBIT the use of inquiry forms in any attempt to sell products. If you are interested in having us represent you, you should submit an inquiry or call Maune Raichle Hartley French & Mudd, LLC. The telephone number for the office is 800-300-2919. We reserve the right to decline any representation. We may be required to decline representation if it would create a conflict of interest with our other clients or because of other reasons, ethical or otherwise. Maune Raichle Hartley French & Mudd, LLC periodically changes, adds, or updates the material in this website without notice. Maune Raichle Hartley French & Mudd, LLC assumes no liability or responsibility for any errors or omissions in the content of this website. Your use of this website is at your own risk. Under no circumstances shall Maune Raichle Hartley French & Mudd, LLC or any other party involved in the creation, production or delivery of this website be liable to you or any other person for any indirect, special, incidental, or consequential damages of any kind arising from your access to, or use of, this website or any of the information on this website. This website may occasionally contain links to third-party websites for the convenience of our users. Maune Raichle Hartley French & Mudd, LLC does not intend to imply any association between Maune Raichle Hartley French & Mudd, LLC and the party or parties involved. Furthermore, Maune Raichle Hartley French & Mudd, LLC does not control these third-party websites and cannot represent that their policies and practices will be consistent with these. If you use any links to websites not maintained by Maune Raichle Hartley French & Mudd, LLC, you do so at your own risk. Maune Raichle Hartley French & Mudd, LLC is not responsible for the contents or availability of any linked sites. These links are provided only for convenience. Maune Raichle Hartley French & Mudd, LLC has tried to comply with all legal and ethical requirements in compiling this website. We do not want to represent clients based on their review of any portion of this website that does not comply with legal and ethical requirements. Neil J. Maune is the attorney responsible for this website, 1015 Locust Street, Suite 1200, St. Louis, Missouri 63101. All right, title and interest (including all copyrights, trademarks and other intellectual property rights) in this website belong to Maune Raichle Hartley French & Mudd, LLC. In addition, any names, images, pictures, logos and icons identifying Maune Raichle Hartley French & Mudd, LLC and its services are proprietary marks of Maune Raichle Hartley French & Muddm, LLC and/or its affiliates. Except as expressly provided below, nothing contained herein shall be construed as conferring any license or right, by implication or otherwise. You are hereby granted a limited license to view and use information retrieved from this website for personal, informational, non-commercial purposes. No part of this website, including, but not limited to, materials retrieved from this website and the underlying code, may be reproduced, republished, copied, transmitted or distributed in any form or by any means. In no event shall materials from this website be stored in any information storage and retrieval system without prior written permission from Maune Raichle Hartley French & Mudd, LLC. Use, duplication, or disclosure by or for the United States Government is subject to the restrictions set forth in DFARS 252.227-7013(c)1(ii) and FAR 52.227-19. Maune Raichle Hartley French & Mudd, LLC (including all employees, subcontractors, agents, successors, assigns and affiliates) shall not be liable for any direct, indirect, incidental, special, or consequential damages of any kind whatsoever (including, without limitation, attorneys fees and lost profits or savings) in any way due to, resulting from, or arising in connection with this site, including its content, regardless of any negligence. This Legal Notice shall be governed by and construed in accordance with the laws of the State of Missouri, USA, as they apply to agreements made and solely performed therein. Disputes arising hereunder shall be exclusively subject to the jurisdiction of the federal courts of the United States of America and/or the state courts of Missouri and jurisdiction shall rest solely in Missouri, USA.